You are here: Home » Convention of the States Scholarship Contest | Showcase Your Creative Skills! 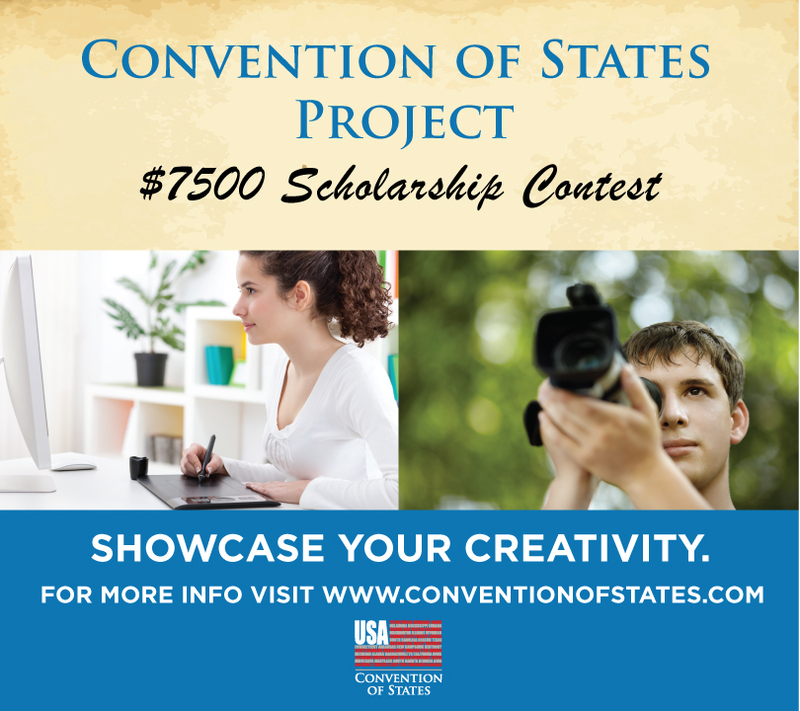 Convention of the States Scholarship Contest | Showcase Your Creative Skills! 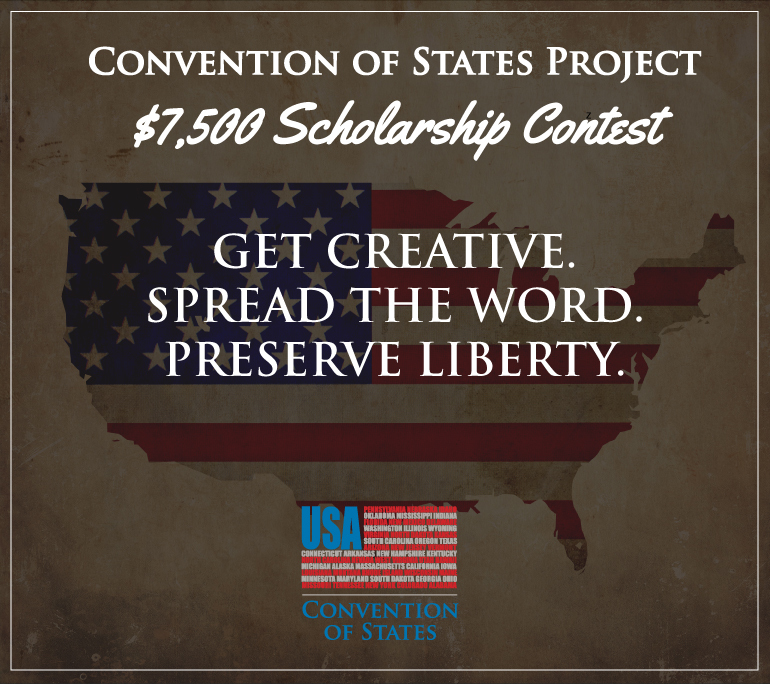 The Convention of States (COS) Project, founded by Citizens for Self Governance, is sponsoring scholarships that offer teens a chance to show off their writing, video, and creative skills! Be you photographer, videographer, designer, sketch artist? Your talent is needed here! Students get the opportunity to enter a video or graphic for a chance to win $250 in COS’s monthly contest and be eligible to enter their unique creation in the final $7,500 scholarship round in April. There’s even a little incentive to sweeten the deal. If a student decides to attend Patrick Henry College, the grand prize increases to a $10,000 scholarship! Submissions begin January 1st! Visit COS Scholarship Contest page to learn how you can submit a video or graphic beginning January 1st. b. Second, your video/graphic must adhere to the Genre of the Month. January’s genre is: Humor. 3. Submit your video and/or graphic to the Convention of States Project between Jan. 1-31, 2014. If you’re a student, ages 12-22, you can use your talents to create a video or other graphic design that encourages people to volunteer for the Convention of States project or that explains and promotes the need for a Convention of States! That’s it! So what are you waiting for? Fire up those computers, pull out those cameras, let your creative juices flow, and get to work! Check out COS website for all the details on how you can win the various contests, terms and conditions, the ins and outs of the contest, and great brainstorming ideas.